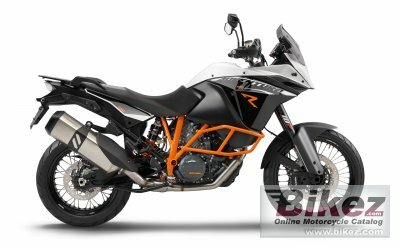 2014 KTM 1190 Adventure R. Picture credits - KTM. Submit more pictures. The 1190 Adventure R has the heart and soul of the original KTM Adventure - puristic, raw, sportily challenging for rider and machine. In MY 2014, it is also comes equipped for the first time with Bosch�s new MSC: Motorcycle Stability Control. MSC enhances the existing package consisting of lean-sensitive traction control and ABS featuring a combined braking function with a world first: the first ever lean-sensitive cornering ABS. Ask questions Join the 14 KTM 1190 Adventure R discussion group or the general KTM discussion group.